PlayerUnknown’s Battlegrounds (PUBG) is the hottest multiplayer mobile game in the world right now. Similar to The Hunger Games, players have to scavenge, collect as many weapons as possible and emerge as the sole survivor. Most of the games last up to 30 minutes, and the survivor gets a reward: “Winner, winner, chicken dinner”. The catch, however, is that being the sole survivor and getting the elusive chicken dinner is not easy – especially if you’re still at the beginner’s stage. 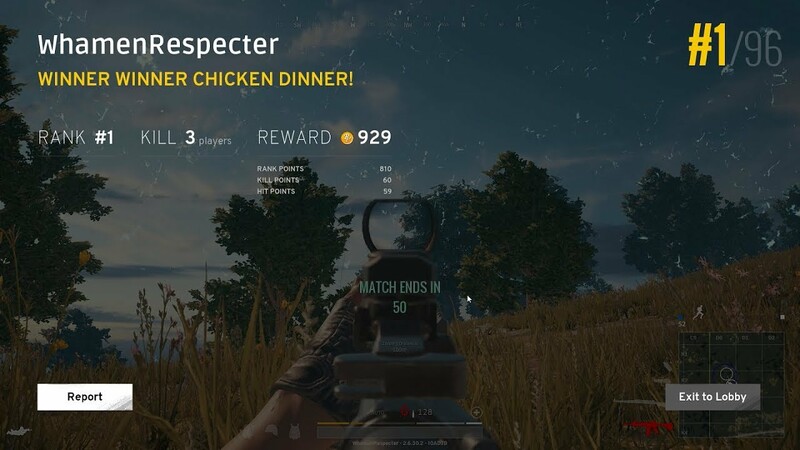 So, if you have just begun playing PUBG, here’s what you need to do to satisfy your appetite . The first few moments of the game are more crucial than you think. As the game begins with you jumping off a plane, strategise your landing location. Since you already have a bird-eye view, identify the area you want to kick-start your campaign from. Keep an eye on where rival players are landing too. This will give you an idea where you should land and start some distance from the others. Loot is a key element of the PUBG, if you want to stay equipped for battle. But you have to be a little smart about it. Collect as many weapons and other things as you can, but don’t spend time too doing it. A common advice would be to avoid relieving an enemy player you have killed of his weapons. Spread out your time spent looting.